The influx of irregular migrants continues to pose a challenge to Europe. 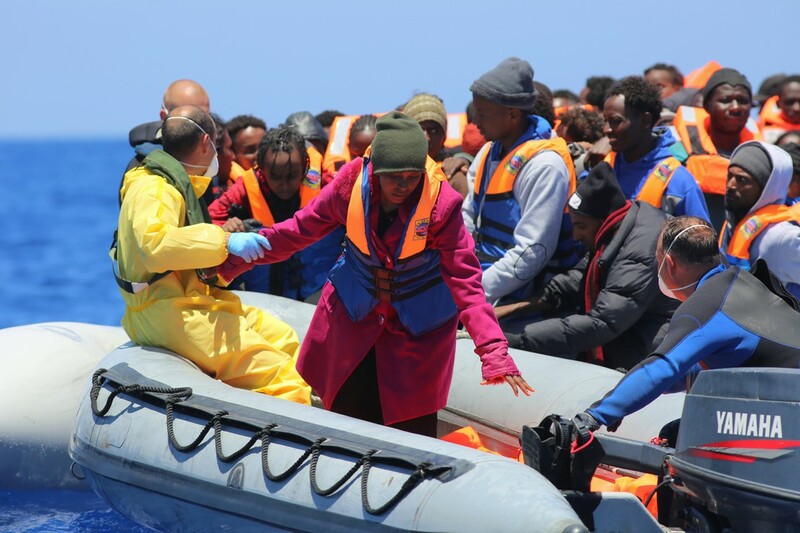 According to Frontex 13,800 people had to be rescued in the central Mediterranean in the last week of May alone. The EU is working on different ways to manage migration better. The European Commission presented a new plan to address the root causes of migration in plenary on 7 June, which was debated by MEPs. Read on for an overview of upcoming initiatives. The new proposal is about stimulating investment in countries where migrants to Europe come from in order to boost growth and create jobs there. The plenary debate on 7 June also featured Commissioner Frans Timmermans and EU foreign policy chief Federica Mogherini. On the same day MEPs discussed with Dimitris Avramopoulos, the commissioner responsible for migration, the proposal for a so-called blue card, giving highly-qualified workers from abroad the right to live and work in the EU. They also discussed plans to revise how migrants can obtain the right to work here and to better integrate them once they are here. In addition MEPs are dealing with a number of very important legislative proposals that promise to improve how the EU's external borders are policed and how migrants and refugees are treated once they arrive. One of the issues the EU is looking at is how to protect its external borders. The national governments asked the European Commission to come up with proposals for a European Border and Coast Guard. The new agency would unite Frontex and the national authorities responsible for border management, which would continue to look after the day-to-day management of the external borders. Parliament's civil liberties committee approved the plans on 30 May. Latvian EPP member Artis Pabriks, responsible for steering the plans through Parliament commented: “The EU needs safer, better managed external borders and thus the European Border and Coast Guard as soon as possible. The European Border and Coast Guard is not a silver bullet that can solve the migration crisis that the EU is facing today or restore the Schengen area. Yet it is the first step." The Commission is proposing to introduce a standard EU travel document for migrants who don't fulfil or no longer filfil the conditions for entry, stay or residence in the EU. Member states would then be required to use the same format and include the same personal information in order to seep dup the return process. The European Criminal Records Information System (ECRIS) was established in 2012 to exchange information on criminal convictions of EU citizens. The Commission is proposing to extend the system to also include people from outside the EU. MEPs want Europol, the EU's law enforcement agency, and border agency Frontex to also be able to access the database on request on a case-by-case basis. The civil liberties committee approved the plans on 30 May. “We need to restore public confidence that we are able to monitor who comes in the EU," said UK ECR member Timothy Kirkhope, who is responsible for steering the proposal through Parliament. Migration was discussed during this week's plenary session in Strasbourg. On Tuesday 7 June MEPs discused a financial plan for Africa as well as an action plan for the integration of migration with Frans Timmermans, Vice-President of the European Commission, and Federica Mogherini, the EU's foreign affairs chief. This article was originally published on 2 June and has been updated to reflect new developments. MEPs vote to overhaul the European travel document to ease bureaucratic burdens on the return of irregular migrants. Read our article on EU border controls and managing migration.